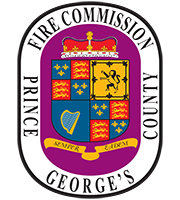 The Prince George’s County Volunteer Fire/EMS Department’s volunteer application is now available as a PDF form. IMPORTANT NOTE: If you have not been provided this link by the volunteer fire department you are applying to — and have not specifically visited the station and met with the station’s recruitment team, do NOT complete this process. Contact your station recruiter for more information on their specific timing of completing this application. This page is intended ONLY FOR THOSE WHO ARE ALREADY IN THE PROCESS AND HAVE BEEN INSTRUCTED TO START THE COUNTY APPLICATION PROCESS BY THE VOLUNTEER DEPARTMENT YOU ARE APPLYING TO. Complete all form fields and PRINT the form. Your station’s recruiter will advise their specific process in turning in the required forms in order to be fingerprinted and start the background check process. See the specific instructions below for using the fillable PDF features, if you wish to utilize those. Or simply print the PDF and complete it with a black ink pen. Take at least two passport style photos (it can be two copies of the same photo), full color, to include in your application packet. Be sure to get Form #4564, “Authorization for Release of Personal Information” NOTARIZED. Your application WILL NOT BE COMPLETE and able to be turned in unless this is done. Contact your station’s recruiter for suggested notary locations if you cannot locate one. Typically most banks have free notary services for account holders, we recommend you call ahead. Bring a copy of your state/government-issued ID or passport to your fingerprint appointment, where it will be copied and added to your application packet. This is required to verify your identify at the time of fingerprinting. If the applicant is 16 or 17 years old you MUST also complete the “Petition For Leave To Inspect Records of the Juvenile Court” Form #4341. You may download this here in PDF or Word format. This will need to be completed before your application may be submitted. Please only take this to a Maryland court to be completed. Contact your recruiter with any specific questions. You will also need a Maryland State Work Permit. Please obtain by visiting http://www.dllr.state.md.us/labor/wages/empm.shtml and only fill out if you are under 18 years old – you will fill out the “minor” portion. If you don’t have access to a printer and/or don’t have the full version of Adobe Acrobat to “save” your completed application, please contact your individual station’s recruiter who can provide you a hard copy of the application packet. Adobe Acrobat Reader must be integrated with your web browser to enable you to complete any forms online. The editable versions of the forms have been created with Adobe Acrobat 5. Occasionally users may have difficulty printing or even opening complex forms online. If this occurs, please try saving the form to your hard disk (select “Save As” or “Save Link As” by clicking on the right-hand mouse button while hovering on the hyperlink to the desired form) and then open and complete the form locally using Adobe Acrobat. Open the form using Adobe Acrobat Reader or Adobe Acrobat. Acrobat Reader will allow you to fill in and print out the form, but it is not possible to save the completed form. Please note that you will only be able to save the completed form if you use Adobe Acrobat (which must be purchased). Saving it is not required. Once the form is open, with the left-hand mouse button, click on the field to be completed, and insert your text. Once the information has been entered, click outside the field that has just been completed or press “tab” to move to the next field. When completing check boxes simply click in the box with the mouse and an “X” will appear. To remove the “X” click in the box again. Please be sure to verify that the full text is visible on the printed sheet once the form has been completed. This is particularly important where several lines of text, either addresses, information in the supplementary sheet or a declarations sheet have been filled in. Inserting paragraph returns using the “enter” key may push the text out of the available space, effectively causing it to disappear from the form. To check whether the contents of a field are visible, simply press “tab” or click outside the field. If the inserted text is not visible, try deleting some of the paragraph returns or reinserting the text. Once the form is complete, click anywhere on the form, or press “tab” to close the last field that was filled in. Go to “print” either in the “file” menu or by selecting the print icon. Once the print dialogue box is open, select the “fit to page” option. This ensures that the page that you see on the screen will correspond to the page printed by your printer. Failure to select this option may result in part of the form not being printed. If you need additional assistance completing the editable forms, please email [email protected].